Welcome to my mostly weather blog. I hope you enjoy getting to know me on a more personal basis through my posts, pictures and other related media. I’m back at News 4 Tucson after three years of reporting the weather in the Pacific Northwest. I worked for KOIN Local 6 in Portland, Oregon as a Meteorologist. I came to KOIN from Tucson, Arizona where I worked at KVOA for 4 years. I have also worked in South Florida and Northern Minnesota. By now you can imagine the very different types of weather I have encountered. I was born in Salem, Massachusetts and was raised in Ann Arbor, Michigan. I have lived in 10 states and have been to 42. Aside from the weather I enjoy listening to and playing music, reading, watching movies and traveling. A few things you might be most surprised to find out about me are that I am a Dead Head, a fanatical Michigan fan and if you challenge me I may verbally name all 50 states in under 12 seconds. Hi Matt! Could you possibly be the Matt Brode from Ann Arbor? Used to be Marc Hoffmann’s friend? I was just talking about you! A belated reply to you Wendy. God bless you and Marc’s memory, he was one of a kind. Happy New Year, Matt! We leave in one week for FL, & can’t wait! Temps in N. MI will be in the single digits by next weekend. Will you & your wife be in FL this winter? MATT! I finally had to ask KOIN why I haven’t seen YOU forecasting ….and got that “update”…..HOPEFULLY, you’re forecasting in a venue we can watch here in Portland….. Hope you’ll tell us… We always enjoyed seeing YOUR forecasts….you are a great meteorologist….and do the science well. Nice to see you back in Tucson. Hey Matt, r u a drinker? Wanna go throw some back? We’ll call a taxi since we don’t want to drink and drive ya know!! We don’t usually watch the afternoon news but did today. We were surprised to see you back in Tucson. What’s up with that? Did you not care for Portland or the PNW? We, like you, have moved quite a bit, and traveled to many states. We are considering a move to Portland right now. Just wondering why you decided to move back. I love Tucson but it’s time to move on. I want to try a few more states before my final dirt nap – don’t mean to be too morbid. So glad your back on my TV. I missed your lively forecasts, and that great smile of yours. I can’t help but smile with you. Smile, smile, smile. Thanks Tina! 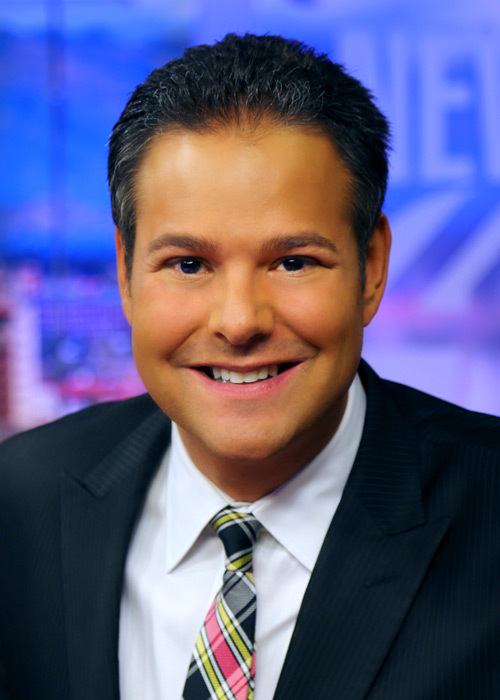 We always watched you in the mornings with Josh Benson and are glad to see you back at KVOA. Go Blue! Thank you Lorraine. I’m thrilled to be back. I suggest an alternative explanation of the dew point humidity. This is the temp. You would have lower a “box” of air to get the moisture to rain out. Matt, I just posted a unique Night Blooming Cereus photo from last night to the Weather Gallery. Hope you can use it. Keep an eye on NASA’ s site. Tonight around 7:35 p.m. the ISS flew directly over what I believe was hurricane Julio. It had a definite eye. Hopefully NASA will release an image or video. You mentioned that you needed firewood. You could contact my son Mark at Mark’s Tree Service at 886-6860. He has a lot of firewood in various kinds of wood. I like your weather reports. Have a great Thanksgiving. Hi matt, wanted to send you a good picture I took from my home today of Catalina mts but couldn’t find a place to send it to. Nice pic of the snow on them. i read your biography, do you have any roots around Harrisburg PA> ? “Where the Caribbean meets the Atlantic” is an amazing picture. Thanks for sharing. Are you on vacation? Have not seen you recently on KVOA at night. Hope you are still there. We miss Rebecca Taylor. Good morning Matt Brode, I was reading your post this morning ( A surprise asteroid came “relatively” close to Earth today). I just write to infom you that a giant METEORITE has exploded and landed in some villages in Africa and I believe NASA might not aware of it because of the location.